Got Parmesan Rinds? Make Broth! Wartime Kitchen & Garden: A Parable for Our Time? This series interviews farmers, food activists, politicians and policy wonks to try to get a handle on the seismic shift in our local food landscape due to the change of administrations in Washington. 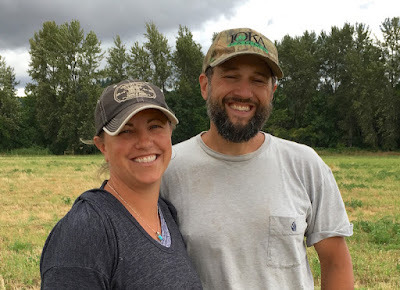 Ivan Maluski owns and operates Shimanek Bridge Farm with his wife, Kendra Kimbirauskas, in rural Linn County where his focus is on producing high quality pasture while rotationally grazing pigs, poultry, goats and cattle. With nearly twenty years of experience working on natural resource policy issues at the state and federal levels, he has served as the Policy Director for Friends of Family Farmers (FoFF) since 2012. He works to accomplish FoFF's legislative and policy priorities at the State Capitol in Salem, representing small and mid-sized farmers and ranchers. He can often be found testifying at the Oregon Board of Agriculture, the Legislature and in other venues. He also makes a terrific cheese from the milk from his herd of LaMancha goats. What are the critical issues affecting agriculture and our food system a) here in the Northwest and b) in the country as a whole? In the Northwest, one of the most critical issues facing our food system is rapidly rising farmland prices that is making access to land for beginning farmers increasingly difficult. The average age of Oregon farmers is now at 60 years old and a significant portion of Oregon's farmland base is likely to change hands in the next decade or two. Increasingly, Oregon farmland is being bought by out-of-state real estate investment firms and larger agricultural production firms, which is driving prices beyond the reach of family-scale and newer farmers. This trend could lead to vastly less family ownership of farmland in Oregon in the future, fewer smaller and mid-sized independent farms, and less resiliency in local and regional food production systems. In the country as a whole, rising market consolidation and corporate mergers are a major threat to family farm ownership and consumer choice, as our food system increasingly falls into the hands of a smaller number of large corporations. A generation ago, America's food and farm economy was dominated by family-scale operations. Now, just handful of companies control most meat production and a major share of dairy production in the U.S. The world's largest seed and input companies also in the process of merging, which reduces marketplace competition, which will likely raise prices for farmers while reducing options for seeds and other inputs. This will ultimately translate into higher prices for consumers as well. Putting on your best prognosticating hat, what are the issues you think are going to be at the top of the list of the new administration, and how do you think they will address them? I think the new administration is going to be heavily focused on repealing regulations that they view as obstacles to large, industrial agricultural firms doing business how they see fit. To the extent EPA rules, for example, currently work to keep manure from large factory farms, or fertilizer runoff, out of waterways, these rules will be under attack by the Trump administration and the current leadership in Congress. Expect both administrative and Congressional action to repeal as many regulations as possible over the next two years, with the primary beneficiary in agriculture being bigger operations with the most significant pollution issues. I think we can also expect that, despite historical bipartisan support for the Farm Bill, the 2018 Farm Bill debate will likely be colored by efforts by the Trump administration to slash spending. If they are successful, I would expect there to be cuts to important farm conservation programs, organic research, local food system programs, programs aimed at helping beginning and socially disadvantaged farmers, and the nutrition programs like SNAP (Supplemental Nutrition Assistance Program, formerly known as food stamps) that make up a big part of the Farm Bill. What do we as citizens need to be paying attention to? What are the best sources for information on the issues? Pay attention to how the Trump administration deals with pending mergers between companies like Monsanto and Bayer, and Syngenta and Chem China. Before being inaugurated, Trump met with the CEOs of Monsanto and Bayer at Trump tower and seemed to endorse the merger, which would have devastating impacts on many American farmers. Additionally, the Trump administration has put on hold long-overdue Farmer Fair Practices rules to level the playing field for family-scale livestock producers and increase transparency in the marketplace to address unfair practices that large meatpacking companies sometimes engage in to control prices. The fate of large agribusiness mergers and the Farmer Fair Practices rules will be an early, major test of the Trump administration on whether they will stand with family farmers, or large agribusiness companies when those interests diverge. While some of the most prominent groups in the agribusiness sector support mega-mergers and oppose the Farmer Fair Practices rules, groups that support independent and sustainable producers are also speaking up. Sign up for alerts and newsletters from groups like the National Farmers Union and the National Sustainable Agriculture Coalition to stay on top of national policy. In your opinion, what’s the most effective action citizens can take in the short term? In the long term? In the short term, concerned citizens may need to look at getting more involved at the local and state level to advance good food and farm policies. For at least the next two years, the federal government has been taken over by corporate ag interests that will likely take policy backwards. This must be opposed, but it is also an opportunity for state and local governments to enact or strengthen policies that promote local and regional food systems and sustainable agriculture. State and local governments will need to lead the way if the federal government is going backward. What organizations most need our support? Friends of Family Farmers and the National Sustainable Agriculture Coalition. 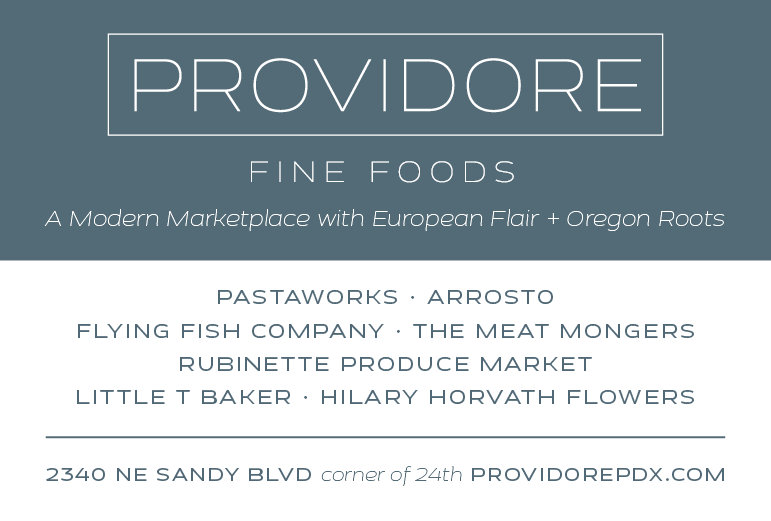 Read more in the Future of Our Food series.